The watch affects Iowa, Missouri and Illinois. 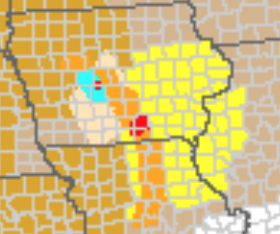 There are multiple tornado warnings in effect in Iowa. 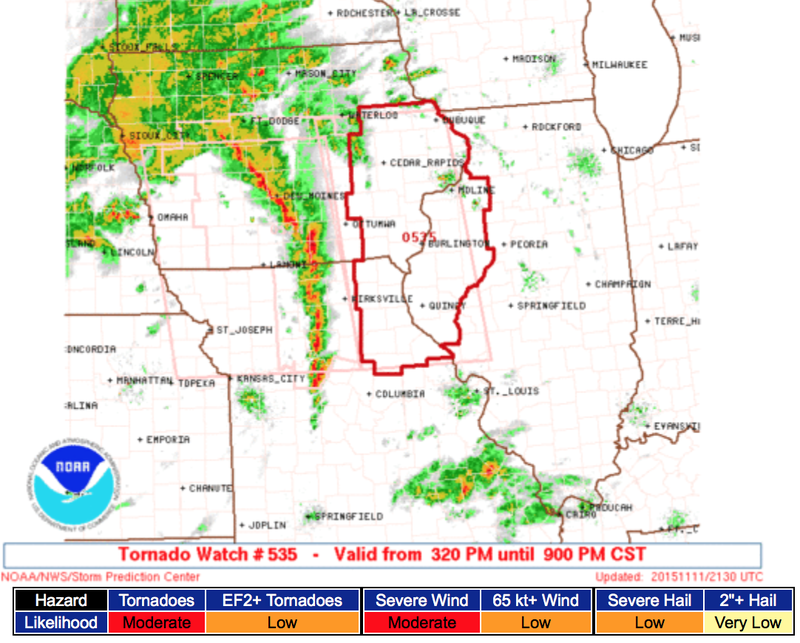 As of 3:30pm, the red polygons are tornado warnings. 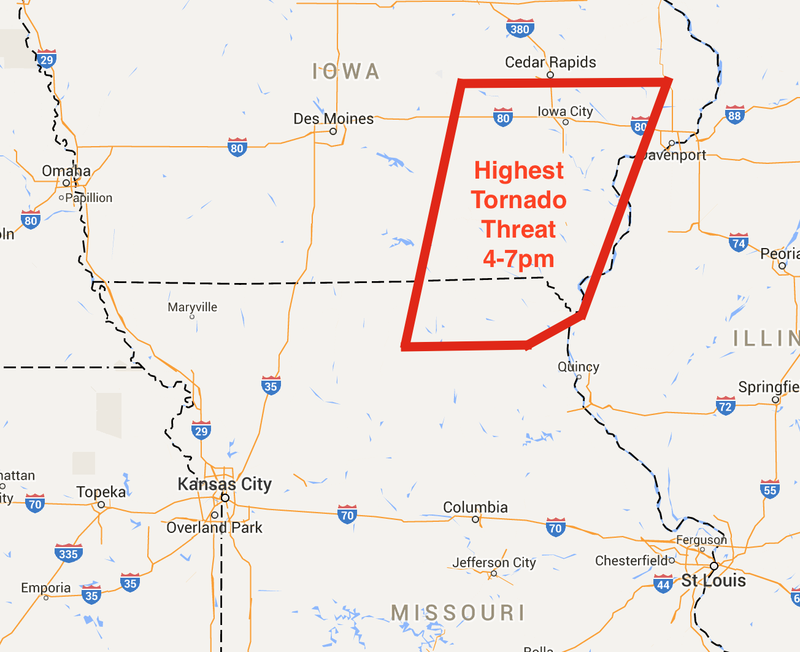 Here is my forecast of the area of greatest tornado risk from 4 to 7pm. 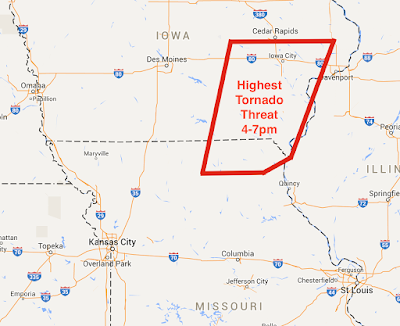 Keep an eye on the weather in these areas.